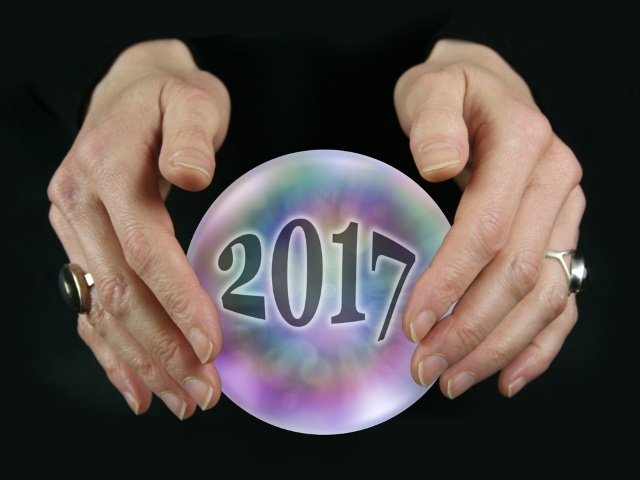 I don’t need a crystal ball to tell you that in 2017, social media is only going to become more important and influential, both in society and for marketers. The key to taking advantage of this will be in the tools. As we wind down the year and look back on 2016, we find that social media is on everyone’s lips–but perhaps for different reasons than we social media marketers would imagine or prefer. The discussion happening around social media at the end of the year is about responsibility and control. The outcomes of the EU Referendum in Great Britain and the American presidential election were no doubt influenced to a greater or lesser degree by social media, from President-elect Donald Trump’s insistence on using Twitter as an unfiltered direct communication channel with his followers and critics, to the soul-searching happening in some quarters about the role social media played in serving up news stories to the American electorate. Social media is also being mentioned frequently as the major news and polling organizations come to grips with the fact that their predictions did not see a Trump victory as a serious possibility, while those monitoring the two campaigns on social media, like our own Socialbakers analysts, saw how much support the Trump campaign was able to muster and how much Trump’s controversies galvanized his supporters rather than hindered his path to the presidency. In the world of social media marketing technology, there’s been plenty of talk and soul-searching about social media, too, although in quite a different way. There’s no question that the platforms are maturing both in terms of business models and technology. They are behaving much more like traditional media in their approach to advertising–paid media is becoming the prevalent model. In a world of abundance of distraction and entertainment all available on a supercomputer that everyone carries in their pocket–aka smartphone–user attention becomes the new currency of success. And companies that are active on social media (that’s nearly everyone these days) need new forms of support to make this powerful marketing channel work for them. Just thinking about the scale, Facebook alone has 26 percent of all attention in the U.S. through its platforms and Facebook Audience Network. Since social media has such a large share of online activity, companies are seeing social media as an important component of their digital marketing and wider marketing strategies. And it’s not limited to just marketing. Customer service, human resources (recruitment and employer branding) and other departments are taking a stake in social, too. This is helping to increase social media’s importance in the organization and spur hiring. According to research by McKinley Marketing Partners, digital marketing expertise has been leading the pack in 2016 for the most desired skill sets. McKinley found that 90 percent of all marketing roles required some digital marketing experience or analytical skills. Social media is a must-have nowadays, and not a nice-to-have. I predict that it’s going to become a business-critical function within the next year or shortly afterward. We’ve been seeing the social media channels themselves mature in terms of the kind of advertising technology they offer. The targeting, flexibility and media buying options available from major social channels is allowing advertisers to target and reach users with unsurpassed precision. The range of advertising options on major social channels is playing a pivotal role in helping to make 2017 a watershed year for marketing, when many expect that digital advertising spend will finally surpass TV ad spend for the first time. This shift will be driven to a large degree by the massive amounts of money flowing into social media channels. This influx is driven largely by a significant lag between the share of time users spend on social media and the overall share of budgets invested in this channel. On social media more than on any other marketing channel, data has been part of the equation from day one, and understanding your data is mission-critical to both improving your performance and delivering greater value from social channels. In 2016, companies have their own platform data in one tool, competitor data in another, ads data in a third, customer service data in a fourth and so on.